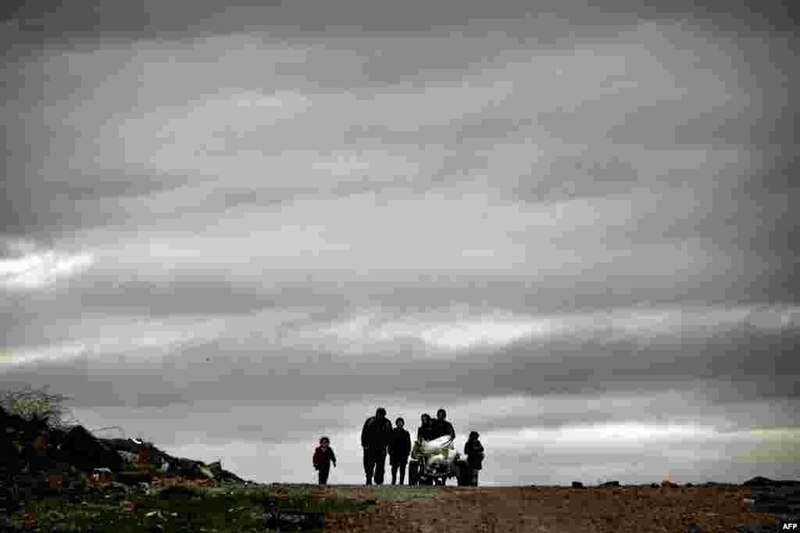 1 Displaced residents evacuate a West Mosul neighborhood during the government-led offensive to retake Iraq's second largest city from Islamic State militants. 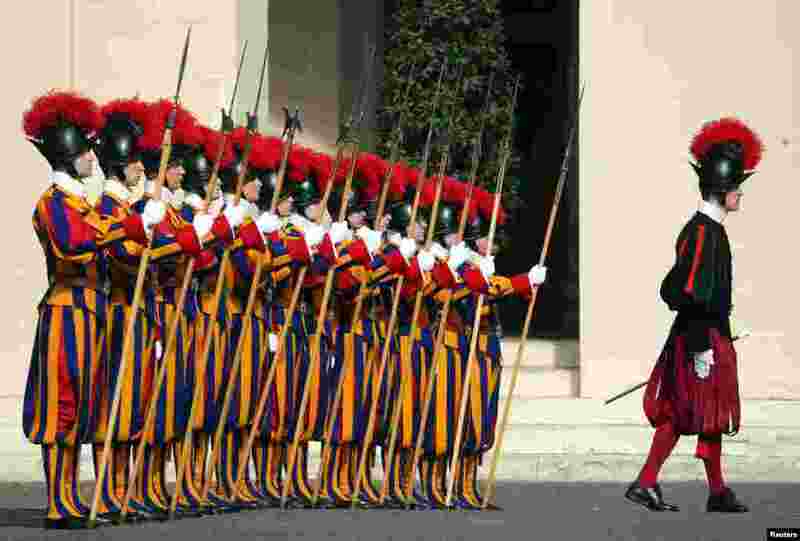 2 Swiss Guards stand at attention prior to the arrival of Lebanese President Michel Aoun for a meeting with Pope Francis at the Vatican. 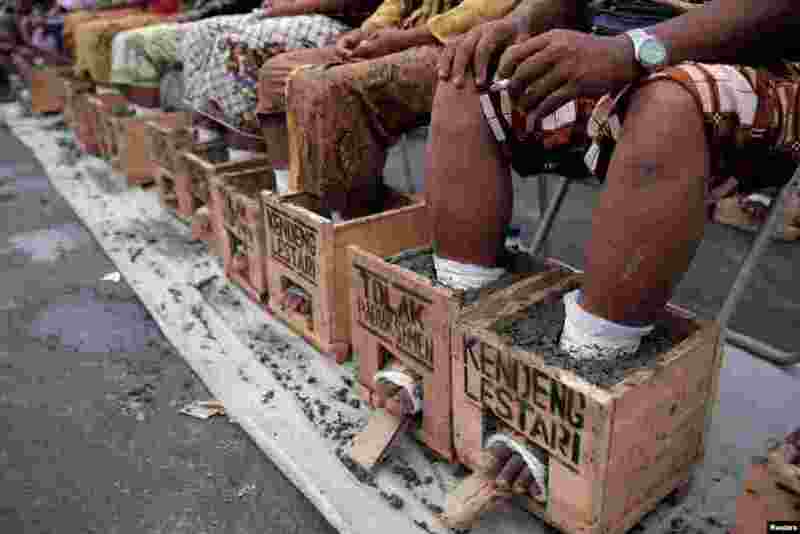 3 Villagers whose feet are cast in cement blocks sit on a bench as part of a four-day protest to draw attention to what they say is environmental damage to their farmland from a cement factory, in Rembang, Central Java, outside the presidential palace in Jakarta, Indonesia. 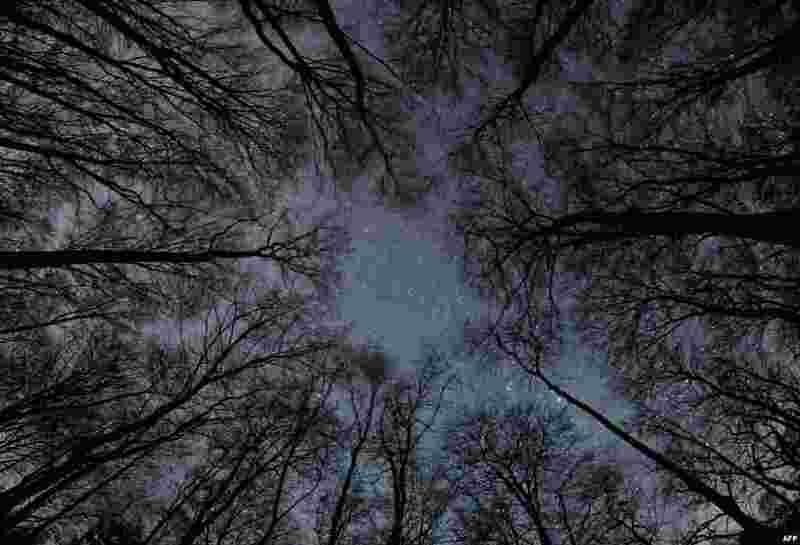 4 Stars twinkle in the night sky over the treetops of a forest in Frankfurt, Germany.